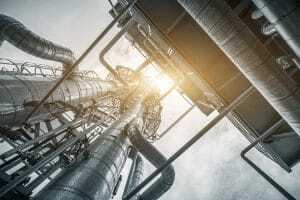 Effective Thermal Management for Hazardous Locations | Noren Thermal, Inc.
Are Heat Exchangers as Effective in the Oil & Gas Industry? Some technological concepts transcend industries and become staples of operations in virtually all of them. For decades, heat exchangers and other custom thermal solutions have been just a concept. Their advanced, highly efficient thermal management methods have benefited companies in fields ranging from manufacturing and production to medical and other high-performance technologies, and much more. However, some industries, have been slower to adopt such solutions. For those that operate in particularly hazardous locations, such as the oil and gas industry, such solutions have only relatively recently been designed to maximize both efficiency and safety in such conditions. Like any other industries, oil and gas production relies on advanced technology, and that technology requires effective cooling solutions to prevent electrical overheating. For most other industries, heat exchangers accomplish this by utilizing natural, easily sustainable methods of transferring electrical waste heat. For example, processes like convection and phase-change cooling only require an eco-friendly cooling fluid and easy to maintain heat exchanger unit. The fluid can absorb waste heat near its source, then transfer it to a cooler area of the heat exchanger (such as a heat sink). The simplified heat transfer processes make electrical cooling more efficient. However, considerations in the oil and gas industry involve more than just simplifying thermal management. Making thermal management a more sustainable and cost-efficient process is still highly beneficial to oil and gas production. Yet, to operate successfully under hazardous conditions, heat exchangers have to take several other concerns into consideration, as well. For example, applications also have to be highly resilient to influences such as extreme heat, hazardous debris, and other rough conditions. Traditional heat exchangers that are designed to operate under typical warehouse and other industrial conditions don’t typically offer that level of protection. However, custom-designed thermal solutions that combine high levels of protection with advanced heat transfer methods are becoming increasingly more common in oil and gas production, as well as other industries that operate in hazardous locations. In all applications, but especially those that are deployed under hazardous conditions, safety always trumps productivity. For oil and gas companies, that often meant relying on more costly and cumbersome thermal management solutions, and accepting those costs and burdens as necessary. However, with the advent of hazardous location heat exchangers, they can now safely benefit from the more streamlined custom thermal solutions that other industries have long enjoyed. For more information about the effectiveness of heat exchangers in the oil and gas industry, call Noren Thermal Solutions in Taylor, TX, at 866-936-6736.